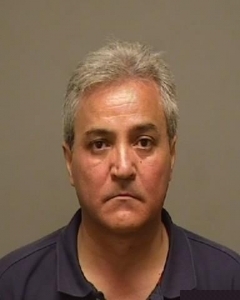 FRESNO, CA (KMJ) – Clovis Police arrest a Fresno music teacher for lewd acts with a Child. Clovis Police arrested 54 year old Christian Benjamin Zacharias on Thursday, August 9th for one count of lewd acts with a child under the age of fourteen. Zacharias is a self-employed music teacher in Clovis and the victim was one of his students. The parents contacted Clovis PD late Wednesday evening as soon as the victim reported the incident to them. The investigation led Detectives to Zacharias’ music studio in Clovis and his residence in Fresno. Zacharias was taken into custody without incident and later booked into the Fresno County Jail. This investigation is ongoing at this time and it is unknown if there are any other victims, Zacharias has taught private music lessons in both Fresno and Clovis. If you have any information regarding this case please contact the Clovis Police Department at 324-2800.